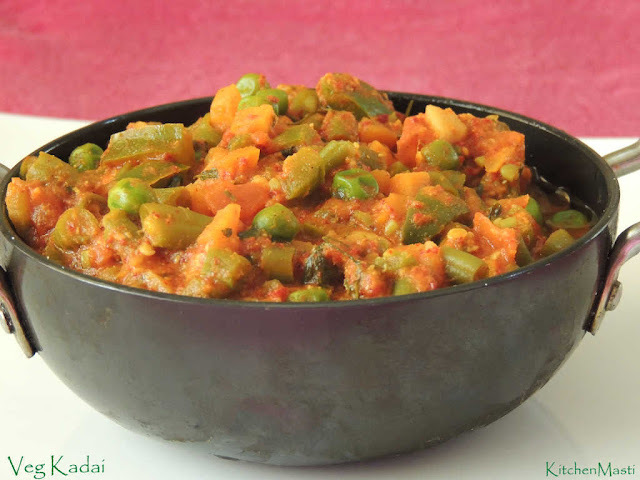 Pamper yourself with this exotic veg kadai along with puri, roti, naan or even with some rice delicacies. 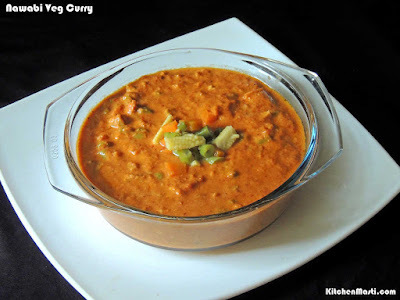 The presence of fenugreek leaves enhances the characteristic taste of the gravy. 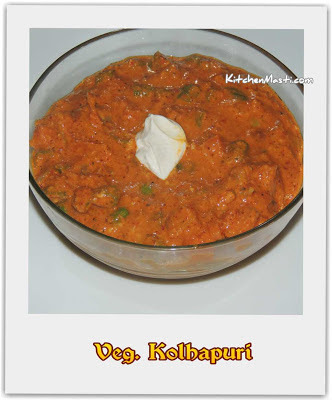 This dish is usually served in kadai hence, its named Veg kadai. 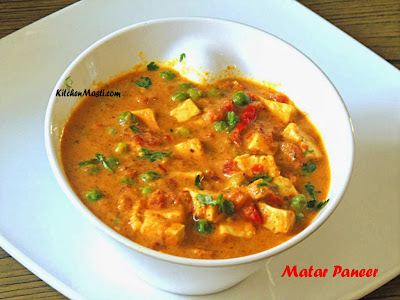 You can also prepare paneer kadai which I have already posted previously in one of my old posts. Here, in this gravy, we add different types of vegetables and spicen up the gravy with the assortment of different spices to make it very tasty. The time taken to prepare this gravy is around 30 minutes and the quantity mentioned here is enough for 4 servings. Fresh Green Peas - 1 / 4 cup. Red chillis ( byadige ) - 7. Coriander seeds ( dhania ) - 2 tbsp. Jeera seeds ( cumin seeds ) - 1 / 2 tsp. Fenugreek leaves - 1 tbsp. Garam Masala Powder - 1 / 2 tsp. Wash all the vegetables thoroughly under the running water. Chop french beans, carrots, capsicum and tomatoes into fine pieces. Boil all the vegetables except capsicum. Dry roast red chillis, coriander seeds and jeera seeds lightly. Switch off the flame and keep it aside. Powder the fried ingredients along with ginger and garlic. Heat a pan with 1 tbsp of butter in it. Add chopped onions and slit green chillis into it. Add the chopped tomatoes into it. Fry till the tomatoes turn mushy. Add the capsicum and fry till it turns crunchy. Mix in all the boiled vegetables and salt into it. Add the roasted powder, turmeric powder and garam masala powder into the gravy. Finally mix in the dry methi leaves. ( kasoori methi leaves ). Stir the gravy and allow it to simmer for a second. Your tangy and spicy veg kadai is ready to be served!!!! You can serve the gravy with julienned ginger. Crush the dry fenugreek leaves with your fingers before adding to the gravy. It helps to enhance the aroma of the gravy. Instead of grinding the ginger and garlic, you can replace it with the Ginger garlic paste too. See to it that the capsicum does not loose its crunchiness while frying. You can lessen the amount of red chillies and increase the quantity of red chilli powder.